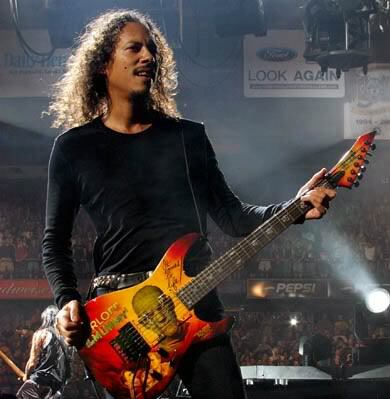 See the gallery for quotes by Kirk Hammett. You can to use those 7 images of quotes as a desktop wallpapers. 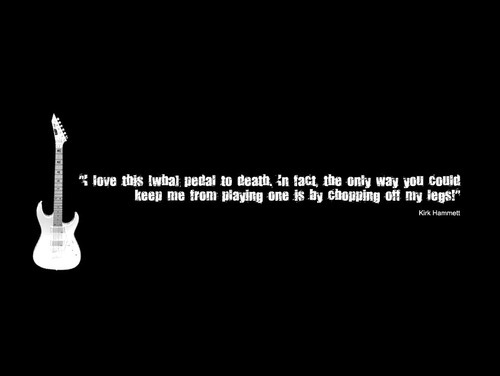 My guitars are my umbilical cord. They're directly wired into my head. I love this pedal to death. The only way you could keep me from playing one is by chopping off my legs! Guitar players in the nineties seem to be reacting against the technique oriented eighties. I'm death obsessed. You know, I have death all over my house. 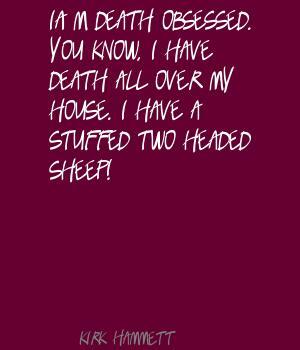 I have a stuffed two headed sheep! 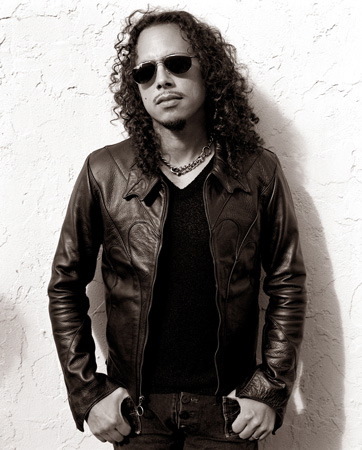 I would have to say I'm bored with the standard rock, guitar solos, but I've done it for five albums now, and this time I wanted to go in a completely different direction. I wasn't interested in showing off any more. A life lived unexplored is a life not worth living. For me, one of the most perfect times to watch a horror movie is when it's cold and raining outside and there's pretty much no outdoor activity to be done. It kind of sets the mood. I didn't want to fall into the trap of competing with all these other great guitar players. I just want to sidestep the whole thing and get out of the race. I think it's morally wrong to keep someone away from what keeps him happy. I've been into horror movies ever since I was five years old. Just because you know umpteen billion scales, it doesn't mean you have to use them all in a solo. We wanted to offer something new to our audience. I hate it when bands stop taking chances. A lot of the main characters in horror movies are outsiders as well, so that outsider syndrome reverberates within horror fans and geeky collectors. 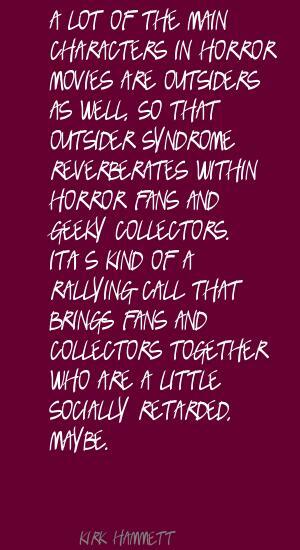 It's kind of a rallying call that brings fans and collectors together who are a little socially retarded, maybe. Horror movies started to wane around the onset of World War II, and after World War II, when all the troops came home, people weren't really interested in seeing horror movies, because they had the real horror right on their front doorsteps.